When I first started reading the Bible, I remember my confusion at paradoxical statements like, “Whoever finds their life will lose it, and whoever loses their life for my sake will find it” (Mt. 10:39). I used to wonder why Jesus would not speak plainly and say exactly what he meant. Later on, he makes more confusing statements: to reign, we must serve (Mt. 25:21); to be exalted, we must become humble (Mt. 23:12); and to be first, we must be last (Mt. 20:16). Paul adds to the mix of paradoxical statements when he asserts that to become wise, we must become fools (I Cor. 3:18); to really live, we must die (Gal. 2:20); and to have nothing is to possess all things (2 Cor. 6:10). I confess that I often read these statements without thinking much about them and jumped right over to narratives and verses I understood easily. After all, didn’t Mark Twain say, “It’s not the parts of the Bible I don’t understand that bother me, it’s the parts I do understand”? How could there be a spiritual practice for getting lost?! Even today, there’s so much that I do understand and do not do, that it seemed silly to focus on what I didn’t. And this was my modus operandi for a long time, until I was introduced to the spiritual practice of getting lost: the labyrinth. Do not misunderstand me; as someone who became interested in faith because of the certainty I thought it offered in a world of chaos, doubt, and instability, I was not, at first, open to the spiritual practice of getting lost. 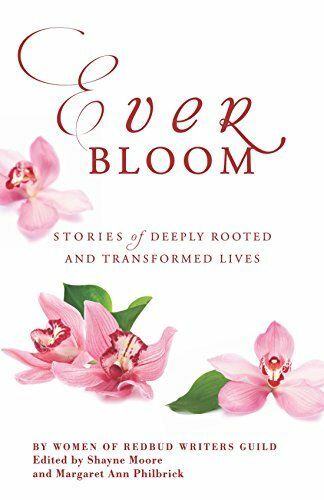 Because even in “Amazing Grace” the hymn writer celebrates that he was once lost but is now found–the joy is in being found not in being lost. How could there be a spiritual practice for getting lost?! It seemed to be another esoteric spiritual teaching I would not quite understand. And yet, when I began to walk the labyrinth, it resonated with me in a way other practices had not. 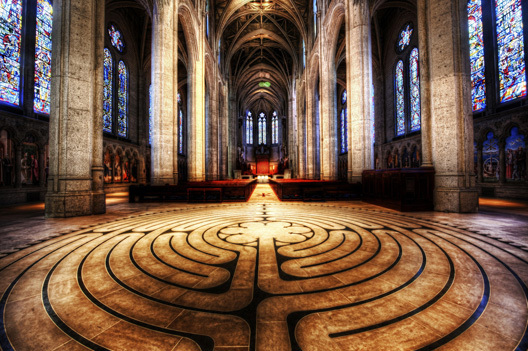 I know there are many ways to walk a labyrinth–one can do so in silent meditation, in repeating a breath prayer or in recalling and recreating a life journey, but for me, it became a way to live my own paradox: it was in getting lost in my life that I was finding it, as I co-labored and walked with God toward an uncertain future. It was reminiscent for me of a saying I had heard my relatives say in Spanish: “Caminante no hay camino, se hace camino al andar” (Walker, there is no path to follow, you make the path by walking). Because my life did not follow the traditional path of graduating, getting married, and having children, I often felt that tension of wanting to walk a traditional path but needing to walk a new path. As a kind of mini pilgrimage, the labyrinth engaged me in a body prayer that symbolized the journey within: I am walking; I know the path is secure, but I do not know where it will go or end; I grow weary and frustrated at times and want to jump out of the path, but I have to walk the entire length because it leads to God–to truth, to wholeness, to healing. There is a supreme irony in finding my way in a labyrinth, but it is an exercise of faith and trust that meets me where I am. I remember a particularly difficult season of my life toward the end of my time living in California. I was walking a labyrinth in an old convent near Santa Barbara and not feeling particularly connected to God in any way. The effort of walking the labyrinth seemed futile, as my mind was distracted and preoccupied with worries over vocation, moving across the country, and finding rest in God. Just as I was about to give up the path and step off, it turned and ended. I was suddenly filled with a sense that this season was ending, too. I would not experience this disorientation in my life forever. That experience gave me a cup of hope to drink, and I returned back to my life with that gift. And that’s the beauty of the labyrinth: the hand of God gently guiding us so that even when we feel lost or confused, we are not; we are moving forward with the one who loves us. 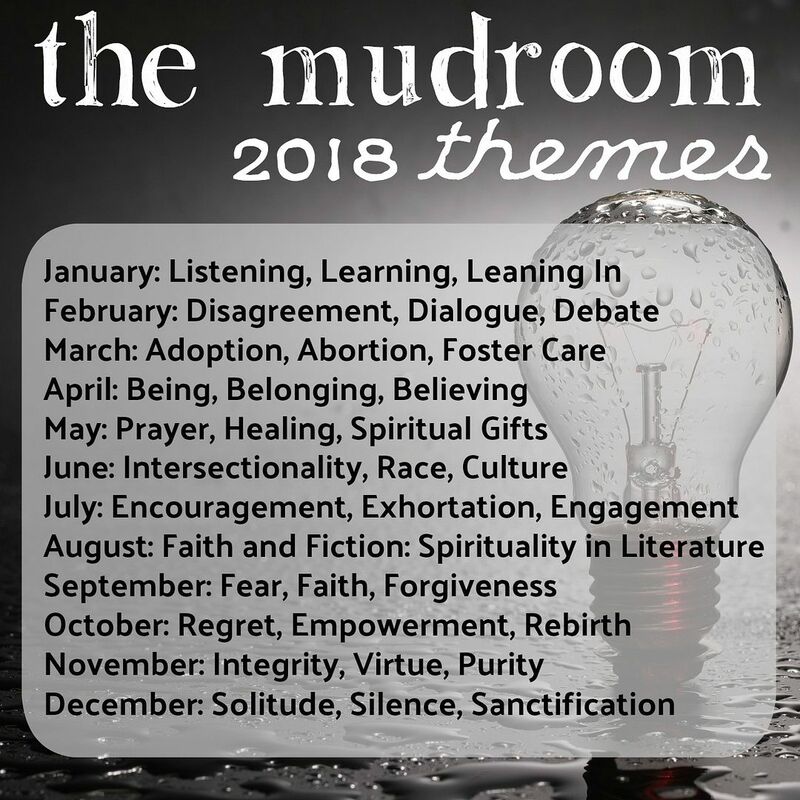 What spiritual practices have you found most meaningful in disorienting times? This entry was posted in Faith, Hope and tagged Dwell Mystery Paradox, labyrinth, spiritual practices. Bookmark the permalink.